Sougo Tokiwa is an 18 year old high school student who is convinced he’s born to be a King. It turns out he’s right, as time travellers from the year 2068 arrive and tell him he’s destined to become history’s greatest tyrant. 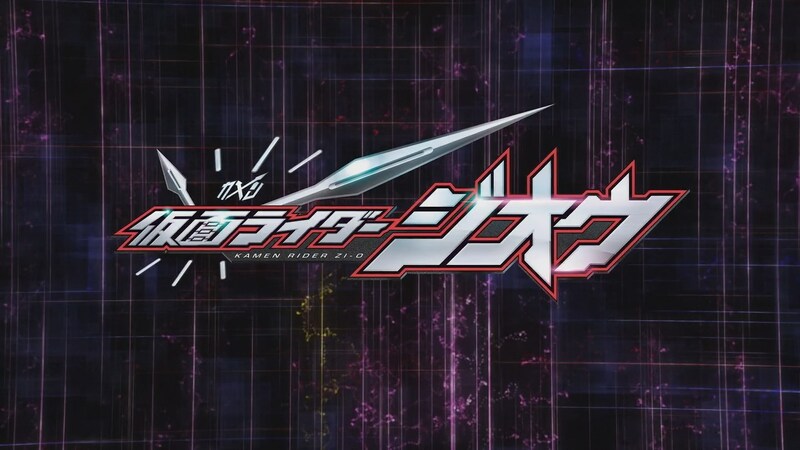 Now it’s up to Sougo to decide whether he’s going to fall to villainy or embrace the heroic legacy of his 19 Heisei predecessors, as he takes the throne as Kamen Rider Zi-O! After the poor showings the franchise has had over the past few years, I needed Zi-O to come out of the gate strong and impress me immediately. Sadly, that’s pretty much the exact opposite of what it does, as this first episode is clunky, weirdly paced, and already displays issues regarding the complicated nature of telling stories about time travel. .Plotwise, we’re already in a mess too, which is quite an achievement after 20 minutes or so of story. Immediately going to back to see the Build crew is about the last thing I could have wanted from a season opener, and it immediately throws up one of the major issue with crossover based stories, namely the issue of keeping continuity in check. Build ended with the creation of an entirely new universe and timeline and yet we’re meant to believe hopping back a year would restore the Skywall and all the jazz? And if the Build monster was created in 2017 but is battled in the present, has it just been hanging out for an entire year? A year in which ostensibly the events of Build still happened? 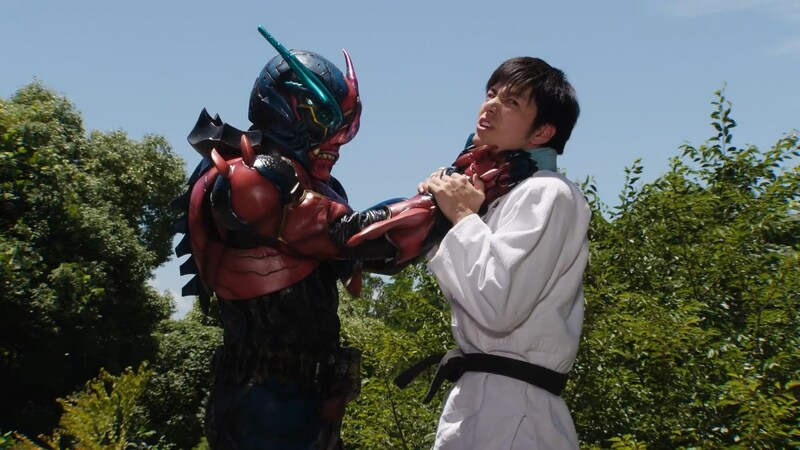 Using time travel as a plot device requires an unusually high level of attention to detail, and if you add the fact that most Kamen Rider shows were never meant to be in continuity with each other anyway, you begin to see the makings of a big problem. That’s not to say there was nothing fun here – the villains and their monster creation seems like a cool idea, I like the belt, and the mysterious prophet Wars is enjoyably goofy – but the overall impression this first episode gave was messy and unfocused, rushing into a story without having established any sort of base characterisation or premise. Then of course there’s always the looming shadow of Kamen Rider Decade, a show which basically did this exact premise ten years ago…and cocked it up spectacularly. 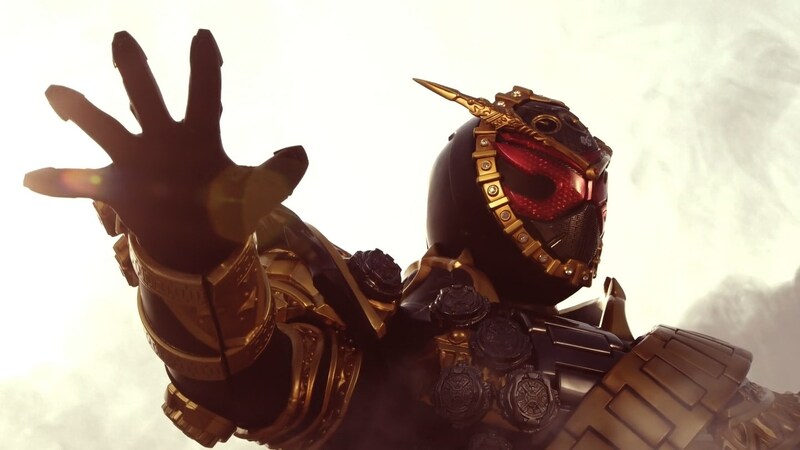 It’s too earlier to say whether Zi-O will match that dubious legacy, but even after just one episode the clock is already ticking. Euri’s verdict: I Wanna Be the Pirate King! I know that Super Sentai and Kamen Rider have a habit of pumping their first episodes to the brim with unimportant information, but this has to be the worst example of it. On paper, it doesn’t seem like it’d be that hard to have a fun ‘Kamen Rider does Terminator‘ show, but here we are. 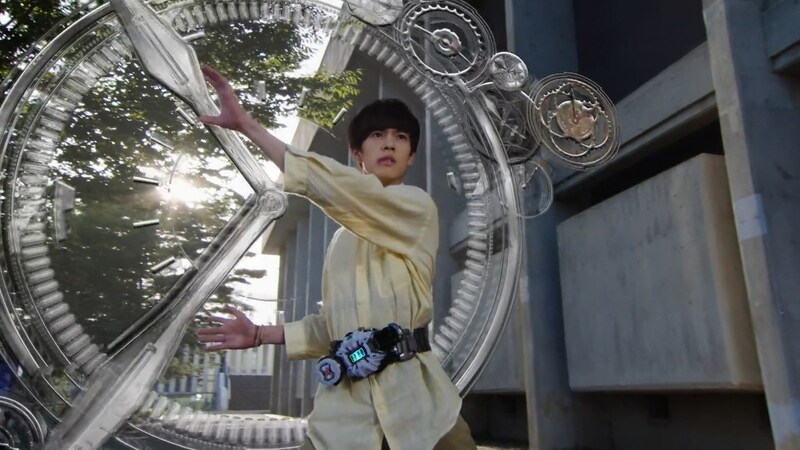 Kamen Rider Geiz, playing the time traveler who has come to assassinate baby Hitler, has basically no screen time until the very end of the episode. He’s the antagonist right now – the force that is trying to stop Sougo from becoming Kamen Rider Zi-O. So where is he? We get a sequence where two awful-looking CGI robots chase each other through time, which somehow avoids being set to the tune of Yakety Sax, and that’s it. Instead of establishing Geiz as a real threat, we have several other characters thrown into the mix just to confuse things further, including another antagonist. The meeting between Souga, Sentou and Ryuuga also seems needlessly rushed. 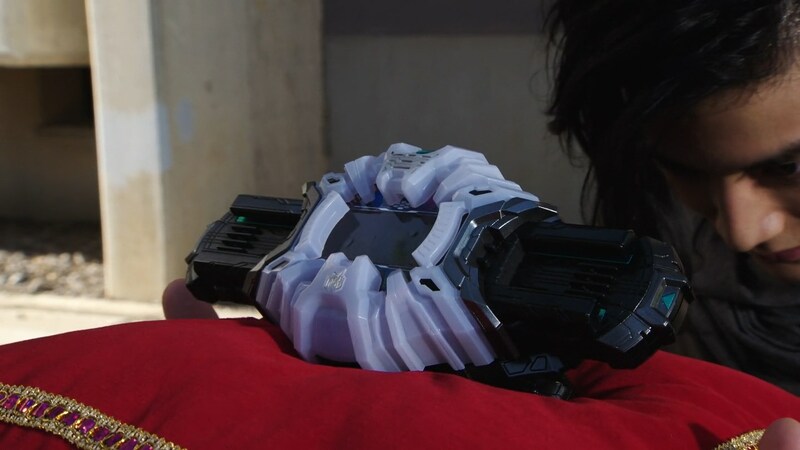 It’s kind of worrying that we’re obtaining a power-up in episode two after barely seeing what the base form Zi-O can do, but as a result of getting thrown into this absolute mess of plot points, the grand event of meeting past riders becomes completely dull. I get that they wanted to use Sentou and Ryuga while they’re still on set after filming Build, but you don’t have to air that footage immediately. If we’re going to hand out power-ups before they’re needed, where are the stakes in this show? On a minor point, the Build meeting is just very… strange. Only having Sentou and Ryuuga in the cafe is strange enough, but we even see the sky wall is still around. There are ways to explain around this point I’m sure, but let’s say I’m not holding my breath based on what I’ve seen so far. It’s not all bad though – the suit designs for Zi-O and Geiz I really dig, and future Oma Zi-O is garish and dumb in a way I can appreciate. The new belt is rad, even if I think that the voice that shouts ‘Rider Time’ and ‘Time Machine’ is really stupid. Oh, and that Build-inspired monster is pretty cool too. Interestingly, only the original student that was turned into the monster pops out when fake Build is defeated, so RIP to the other missing students I guess. My first impressions are pretty negative, though there’s plenty here that can be worked into a good show if they calm down after this episode and take the time to do it properly. It’s not quite Ex-Aid episode one levels of bad impression, but that said, I thought Build’s first episode was great and that didn’t turn out so hot either. The show will get a lot better once Fourze shows up, anyway.